This website is operated by Assistance League of Nashville. It is recognized that visitors to this site are concerned about the information provided and how that information is treated. The chapter cares about the privacy of its website visitors and therefore does not sell or otherwise make available personal identification information to any person or organization. This website and the website of National Assistance League contain trademarks, service marks, graphics and text that are the property of Assistance League of Nashville and/or National Assistance League. These properties may not be copied, reproduced, republished, uploaded, posted, transmitted or distributed without the prior written consent of Assistance League of Nashville or National Assistance League. Except as expressly provided above, nothing contained herein shall be construed as conferring any license or right under any copyright or other intellectual property right. Further information on the rules for trademark usage can be found at www.assistanceleague.org. This website takes every precaution to protect the user’s information. When the user submits sensitive information via this website, the information is protected both online and off-line. When a form asks for the user to enter sensitive information such as credit card, date of birth, social security number, that information is encrypted and protected by encryption software. The information provided shall only be divulged to members of the chapter needing access to this information, such as the Treasurer. 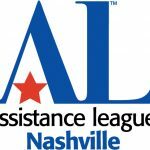 We maintain records of all contributions to Assistance League of Nashville. Authorized members of the chapter may contact you to obtain additional information. This may be done through electronic or telephonic means or through postal mail. You may choose to opt out from or restrict the use of your contact information by contacting the chapter through one of the methods below. Donor names and addresses shall not be shared, unless required by law, or sold to outside organizations, and such policy shall be disclosed to donors. Unless requested not to do so by the donor, the chapter may list the donor’s name and donation category in publications of the chapter that may be seen by individuals outside of the chapter. This information may be contained in documents including, but not limited to annual reports, press releases, grant applications and community newsletters. Donors may contact the chapter to view copies of annual reports, IRS (Form 990) or other financial documents prior to making the donation. Donors may also ask for examples of prior publications showing the manner in which donor contributions are acknowledged. This website requests information from users via surveys. Participation in these surveys is completely voluntary and the user therefore has a choice whether or not to disclose the information. Survey information will be used for purposes of monitoring or improving the site and chapter activities. The personal information of the user is not shared with third parties unless the chapter gives prior notice and choice. Though an intermediary may be used to conduct these surveys, that intermediary may not use the user’s personal information for any secondary purpose.